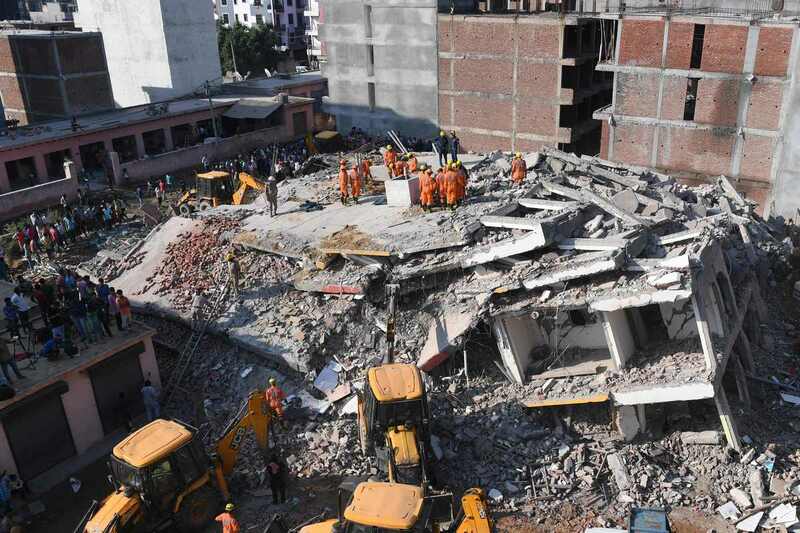 NEW DELHI - A six-storey building collapsed into an adjacent construction site in Greater Noida near New Delhi killing at least two people, police said on Wednesday, as rescuers searched for more people feared trapped in the rubble. Police said the building that collapsed on Tuesday night had been constructed a few years ago and did not appear to have many occupants. 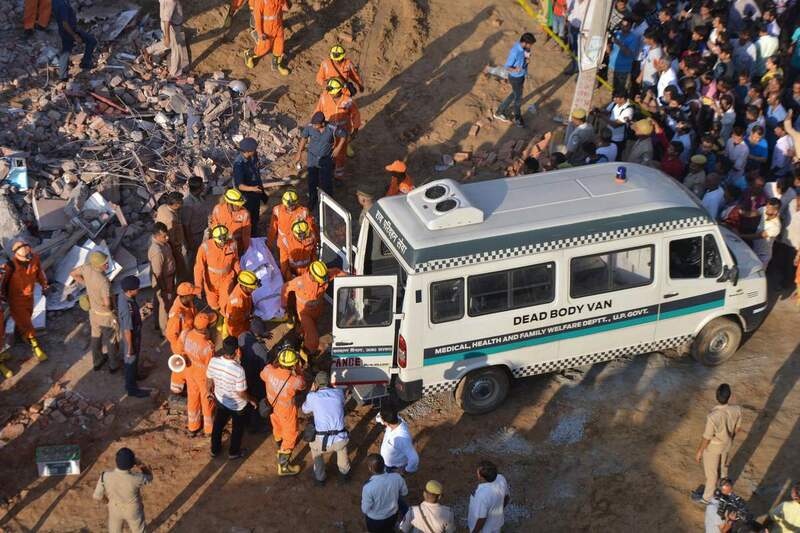 "We have recovered two bodies from the bottom, how many more are there is hard to say. But people in the area are telling us there were not many families who had shifted to the building, and there were mostly construction workers who lived here," said Ram Kumar police inspector general. A local media outlet earlier reported that at least 50 people were feared trapped. Building collapses in India are more common during the current monsoon season, aggravated by the use of poor building materials, police and residents say. "This was clearly a weak structure," said Kumar. Greater Noida is one of a cluster of areas that have sprung up around the Indian capital over the last decade, home to scores of residential and commercial blocks, many of them unfinished structures for lack of funds or approvals from the state local authorities. About 100 people were involved in the night long rescue effort using cranes to clear the rubble, officials said. A dog squad sent in to look for survivors did not find any, P.K. Srivastava, commandant of the National Disaster Response Force said. 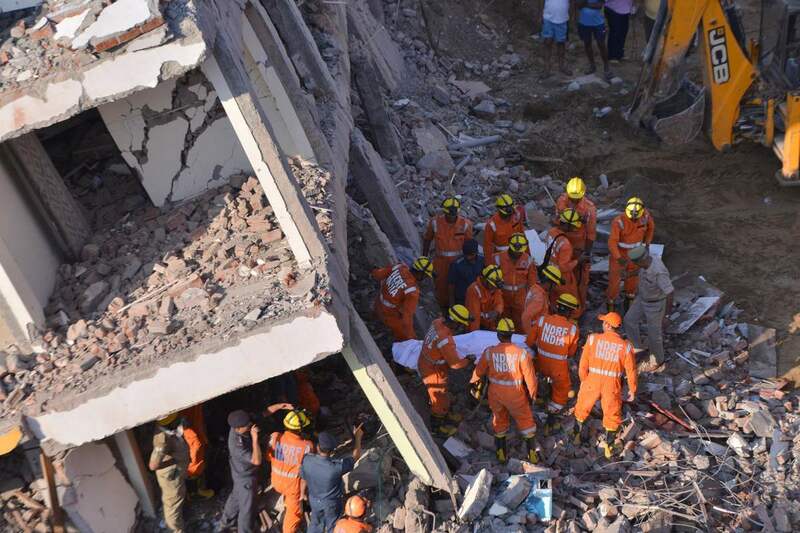 #GreaterNoida: Si-storey building collapses into another in #ShahBeri village, at least 50 feared trapped inside. Narrow streets making rescue ops difficult.